White cast aluminium chair leg. Can be replaced by a shower shelf ref. 047735 or 047736 if the user doesnt need the seat. 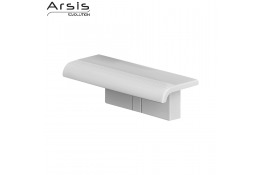 White polymer shelf. Wall-mounted model. 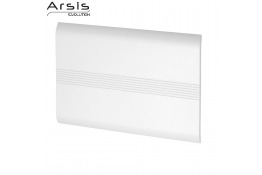 Supplied with its wall-mounted support: Can be unclipped for fitting the ARSIS shower seat. 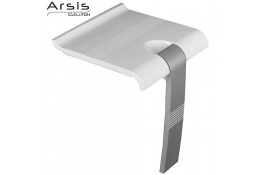 Supplied with its wall-mounted support: The shower shelf can be unclipped for fitting the shower seat. 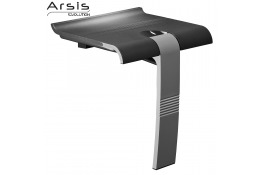 Ergonomic 450 mm large size seat made of anthracite grey polymer. 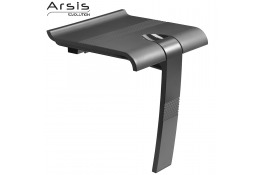 Can be unclipped from its wall bracket for cleaning and occasional community use. Can be replaced by a shower shelf ref. 047739 or 047740 if the user doesnt need the seat. Fixing rail fitted with an anodised aluminium cover, with 2 white resin screws. 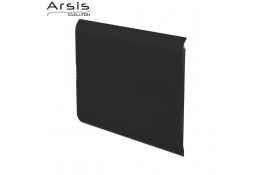 The cover can be replaced with a straight grab bar of 443 mm or a backrest for shower seat and can thus be used to convert a "Classic" shower into an ergonomical "Comfort" shower. 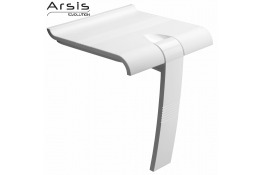 Backrest for shower seat in white polymer, removable, can be clipped onto rail of 443 mm. Supplied separately. 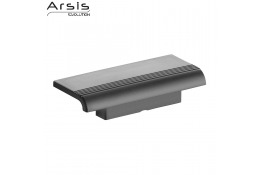 Backrest for shower seat in anthracite polymer, removable, can be clipped onto rail of 443 mm. Supplied separately. Fixing rail fitted with an anodised aluminium cover, with 2 anthracite resin screws. 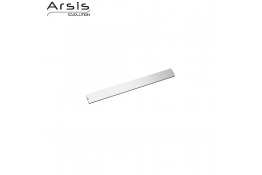 The cover can be replaced with a straight grab bar of 443 mm or a backrest for shower seat and can thus be used to convert a "Classic" shower into an ergonomical "Comfort" shower.